Just Breath. You’ve Got This. Abortion is a permanent decision. Pause, take a breath, and get the answers you need to make an informed choice. Are You Actually Pregnant? Get a Free Pregnancy Test. 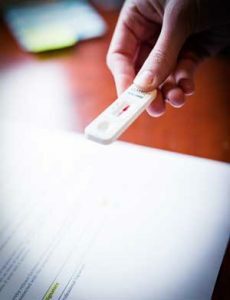 Call today to schedule your free, lab-quality pregnancy test to confirm your pregnancy. Gateway Women’s Care is here to help you work through your options and make an informed decision with caring, confidential assistance. Knowing for sure how far along you are is necessary to determine what abortion procedures you are eligible for. Is Your Pregnancy Viable? Get a Free Ultrasound. Approximately 20% of verified pregnancies will end in miscarriage during the first trimester. Before an abortion, knowing whether your pregnancy is even likely to be carried to term (viable) is vital. Your body has its own natural mechanism for taking care of a nonviable pregnancy, avoiding an unnecessary and costly procedure. Free, limited ultrasounds are available to qualified clients. Accurate gestational age (how far along you are). What abortion procedures you are eligible for at this stage of pregnancy. If there is a measurable heartbeat. Whether the pregnancy is in the uterus (not an ectopic/tubal pregnancy). Gateway Women’s Care provides many services and all are free of charge, confidential and offered in a supportive environment.